S.E.M. 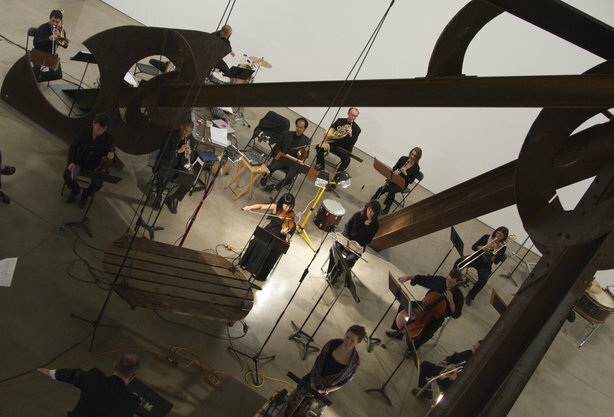 Ensemble's 2016-2017 season featured world premieres of works by composers such as Alvin Lucier, George Lewis, Roscoe Mitchell, Petr Bakla, Petr Kotik and Christian Wolff. 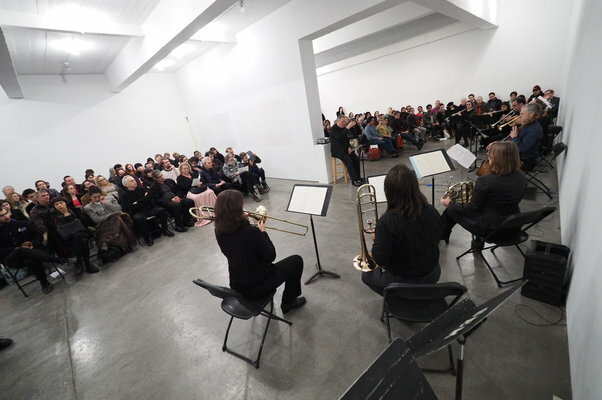 The annual holiday concert at Paula Cooper Gallery was a highlight this season, as all of the pieces were electronic works. Below, find information on some of the concerts SEM performed in throughout the season. 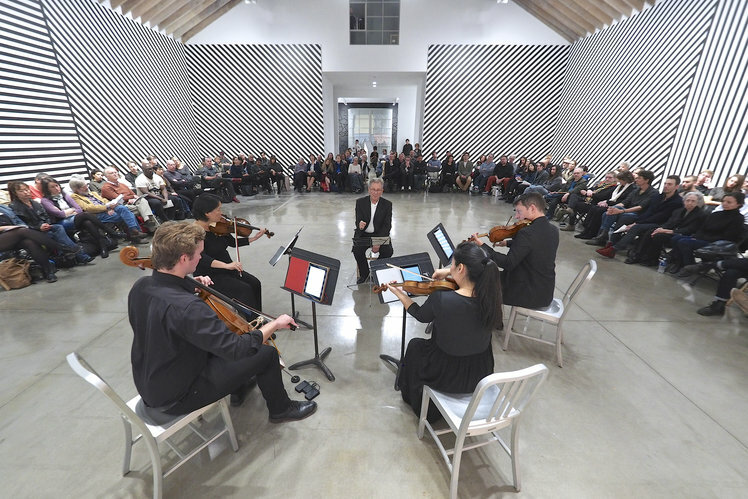 I am delighted to present a concert during the Sol LeWitt exhibit. Although Sol and I never met, he has, since the 1980s, regularly supported SEM. The music we perform must have been the reason. More than often, our programs are not in line with the prevailing trends or popular taste of the moment. Together with other artists, composers, and music followers, LeWitt’s support gave us the encouragement to go forward, because one cannot do it alone. That is certain. Every generation struggles with the impossible task to redefine its art, not for the sake of doing something new – that itself is not interesting. We have to redefine our work because using the means from the past is banal in the view of every day’s new reality. Nothing changes from generation to generation except composition (Gertrude Stein). The meaning of the work continues to be unabated, but the composition has to change as the world around us changes. When one paints, draws, or creates objects, listening is more important than looking. A composer on the other hand must shut his or her ears because for a composer, looking is more important than listening. This may be the reason why music and art have been close companions for generations. 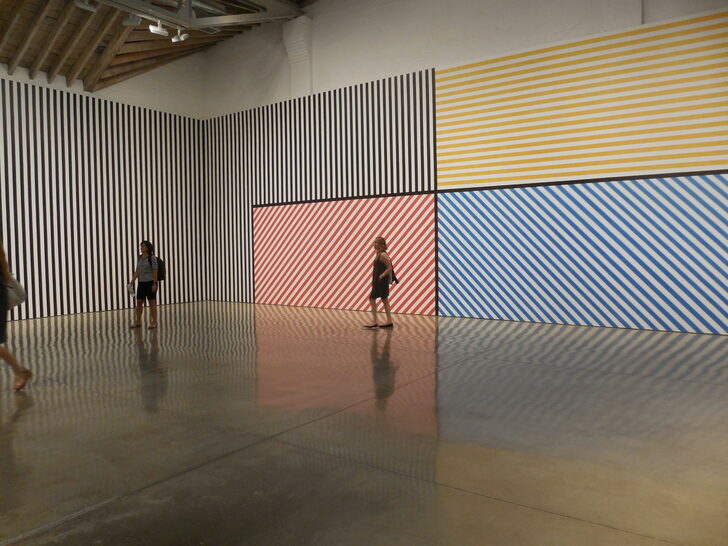 The wall drawings by Sol LeWitt are case in point. They are closer to music than to the way we understand visual art. All the fundamentals of music composition are here in place: there is a score (i.e. instruction for the realization), there are performers (who execute the score), and there is duration for the piece to exist. What has been actually redefined here – art or music? I met Sol first through Andrea Miller-Keller who was his most eloquent and important friend and critic. Andrea suggested that Sol and I exchange works. Sol was known for his ecumenical taste in art and had a huge collection of works by hundreds of artists. He gave me a wall drawing (#724) and I reciprocated with the hand written score of my quartet, Navigations for Strings. I was doubly honored that he later borrowed a panoramic photograph of part of the Swiss Alps that I had used in Panorama, a duo for piano and trombone, for Zug III, a gorgeous multi-colored wall drawing. More recently he asked me to supply music for his Curved Wall, an enormous sculpture first shown in Graz, Austria, later at Wesleyan. Sol LeWitt was the most kind and generous artist I have ever known. 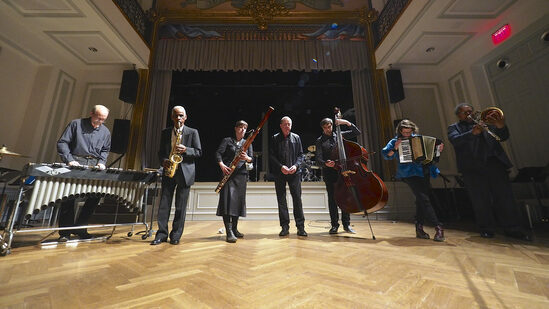 "SEM continues to play a critical role in New York's musical life." This 17-minute work is based on microtonal variations around three pitches (G#, A, Bb), played in different octaves. These variations not only affect the pitch, but also the timbre and partial balance, and their layering creates complex melodies of overtones, as well as rhythmical patterns produced by tonal beatings. The work, commissioned by the Adelaide Festival in Australia, will be performed by French bassoonist Dafne Vicente-Sandoval. Hailed by many as the first masterpiece of electronic sounds, this 13-minute composition for magnetic tape and five loudspeakers integrates electronic sounds with the voice of a boy soprano singing fragments from the Book of Daniel. With it, Stockhausen tested and employed for the first time the idea of “music in space” that would finds its radical expression in Gruppen (1955-57). The work received its world premiere at West German Radio (WDR) in Cologne in 1956. Filters and Filtered is a 20-minute spatial sound installation originally composed for 8 channels and adapted to 4 for this performance. A "filter" is anything that comes between the transmission and reception of the signal, including equalization, bit reduction, wave-shaping, phase shifting, acoustic treatment, room resonance, masking, as well as other psycho-acoustic effects. The structure is derived from algorithms that combine elements of serial and aleatoric techniques. Filters and Filtered was presented in 14 channel versions at AVA Gallery in New York, iMAL in Brussels and at Ultraschall in Berlin. The work is the third incarnation of a computer algorithm that composes music first coded on Spiegel’s Apple II computer around 1980. Instead of creating a finite number of works, Spiegel had the idea to encode in computer software her personal compositional methods, and musical and aesthetic decisions so that new music could be composed and generated long after the biological human had ceased to exist. This particular software, based on the harmonic progressions of Bach’s chorales, merges Bach and Spiegel’s musical selves. The work was commissioned by the Barcelona Museum of Contemporary Art. The Orchestra of the S.E.M. Ensemble, founded and directed by Petr Kotik, presents a marathon program which uniquely combines composers from the Association for the Advancement of Creative Musicians (AACM) – Muhal Richard Abrams, George Lewis, and Roscoe Mitchell – with those associated with the New York avant-garde tradition – Christian Wolff, Petr Kotik, Jackson Mac Low, and Czech composer Petr Bakla. 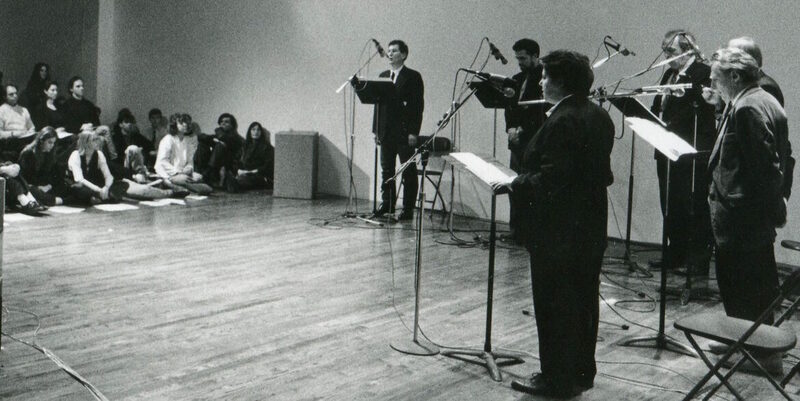 SEM’s collaboration with AACM began 20 years ago, when Muhal Richard Abrams invited Kotik and his orchestra to perform, and has continued until today with many commissions and recordings. 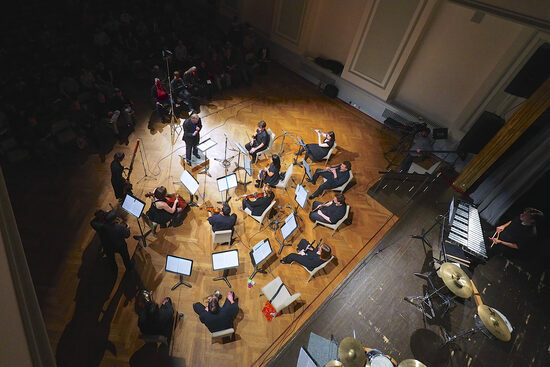 The concert’s program aims to bring forth the proximity of different musical ideas and underlines Kotik’s openness to unorthodox combinations of composers, whose work he has presented at SEM concerts in New York, and in Europe at the Ostrava Days festival. (le) poisson rouge commemorates the birthday of Petr Kotik along with friends Philip Glass, George Lewis, and Alex Mincek in conversation and a retrospective performance of Kotik’s iconic works, along with early music by Glass and an improvisation by Lewis and Mincek. 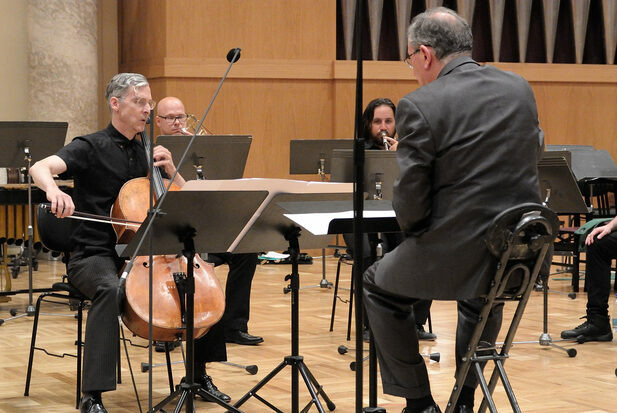 A screening of the new film Untamable Kotik, produced by Czech Television will precede the concert. The performance will run 90 minutes without intermission and will be moderated by Pauline Kim Harris. A new film by Czech Television (the national public television network), Untamable Kotik documents Kotik’s performances, rehearsals, travel, and personal life. Switching back and forth between New York, Prague, and Ostrava, it was filmed in the period between 2015 and 2016. 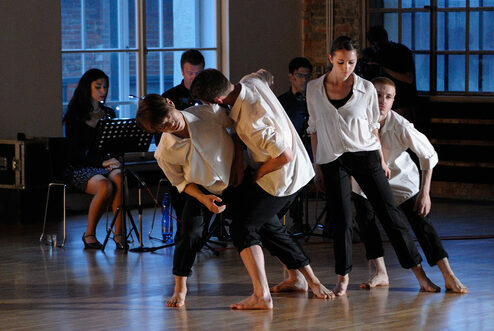 It includes musicians from both continents in rehearsals, performances, and conversations. 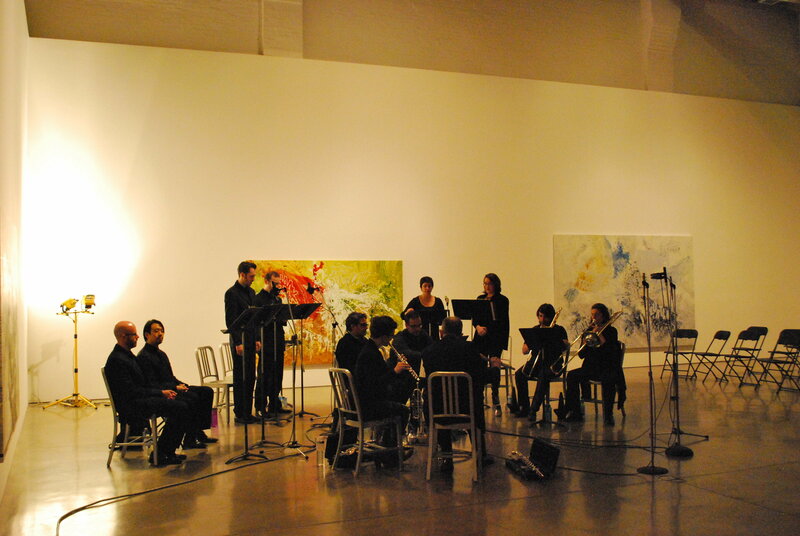 The film features music by Kotik, Phill Niblock, and John Cage. It is in English and Czech w/ English subtitles. Philip Glass, George Lewis, Alex Mincek, and Petr Kotik will be present throughout the evening to comment.